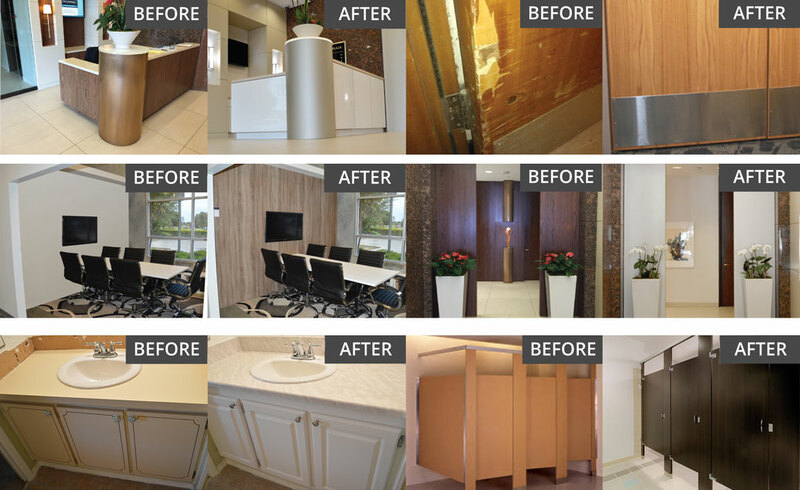 Peelstix is an amazing laminate that is can be used as an Architectural Film for commercial applications, cabinet refacing or hotel fire doors. You can easily resurface interior doors, reception areas and old furniture. Its the amazing stick on laminate that is easy to use and only needs a utility knife. Visit our "How-To" Section here to watch video tutorials to see how it works from start to finish! 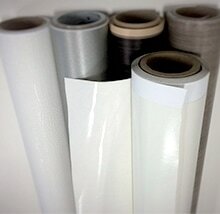 Peel and stick laminates can adhere to metal, wood, foam, plastic, pvc, and more. 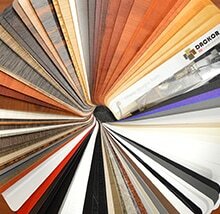 Great for architectural finishing, refinishing, cabinet refacing and hotel fire doors ! WHAT ARE THE BENEFITS OF RESURFACING and REFACING? When you resurface cabinets, fire doors, elevator cabs, walls or old furniture you save money on dumping, on replacing the substrate or cabinet box and on ancillary costs. When you tear our projects you often run into other unforeseen costs from plumbers, electricians, tile and backsplash. Put simply, resurfacing and refacing saves money. No missed meals or family time in the kitchen with refacing or no down time in a business due to renovations. Unlike new construction, there is no disruption to flooring, wall paper, plaster, countertops or sinks. With Refacing, there is also no need for subcontractors, electrician, plumber, or dumpster. There is also no tear out or construction, harmful VOC's, paint or chemicals as well. 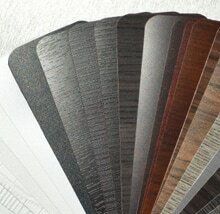 Our Laminates are a green alternative to discarding natural wood cabinets and surfaces. 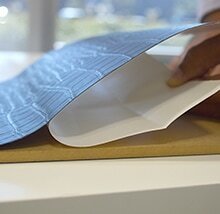 Today many products claim to be green however reusing and repurposing surfaces is the most green alternative.